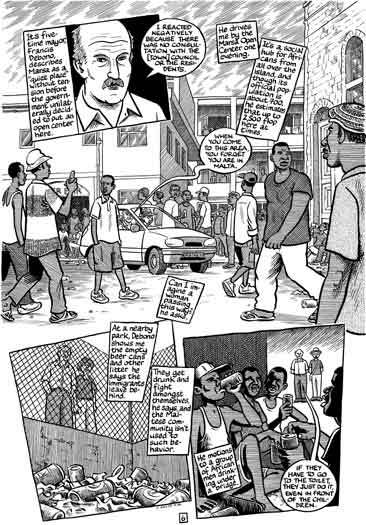 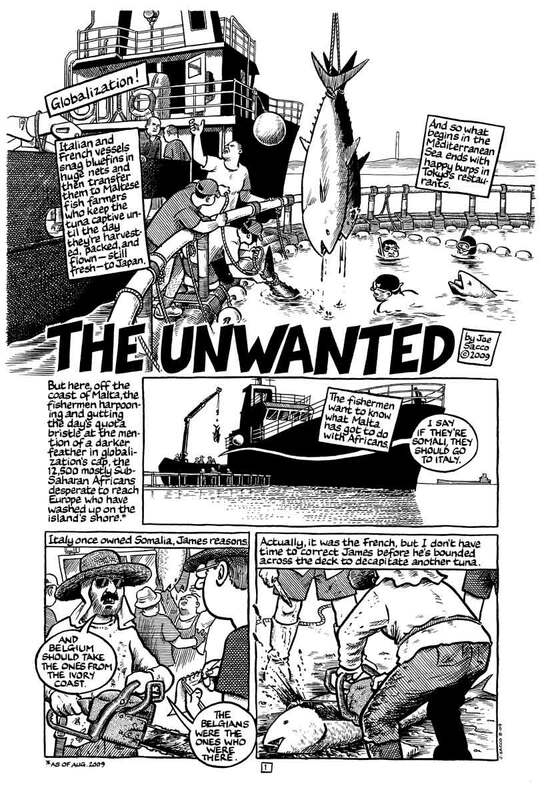 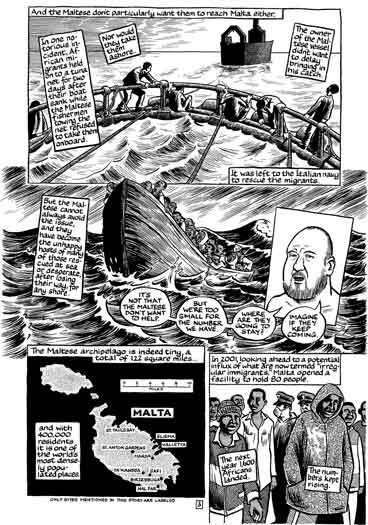 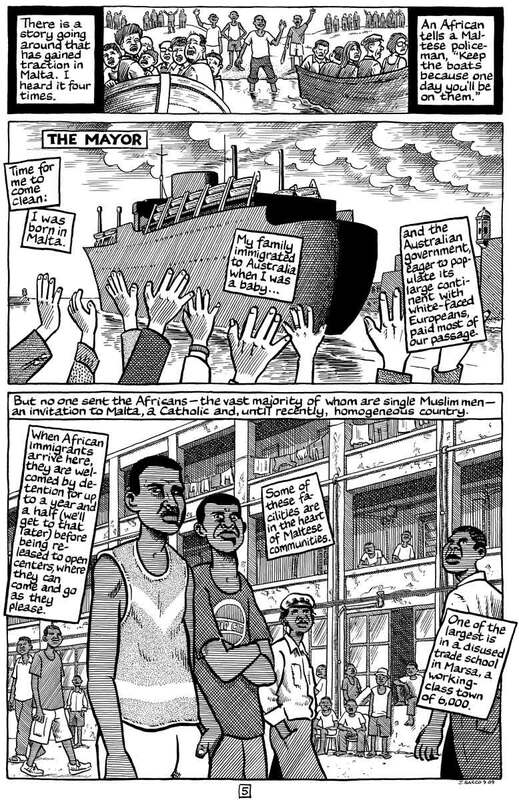 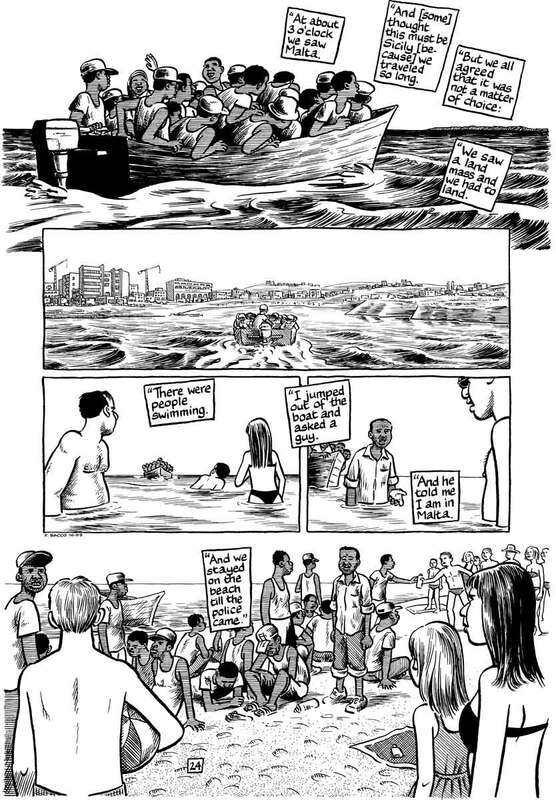 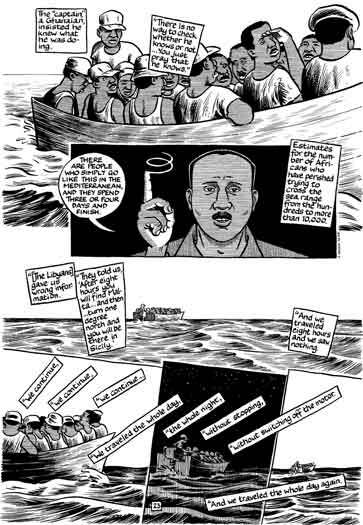 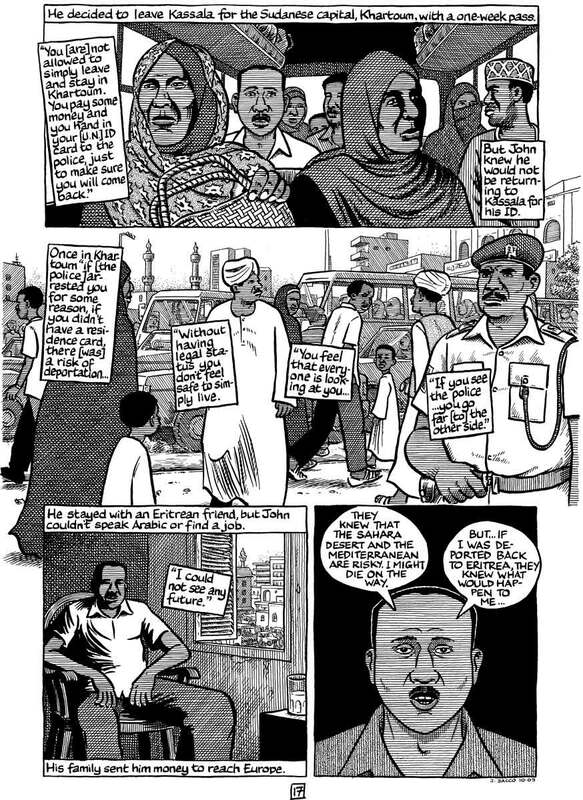 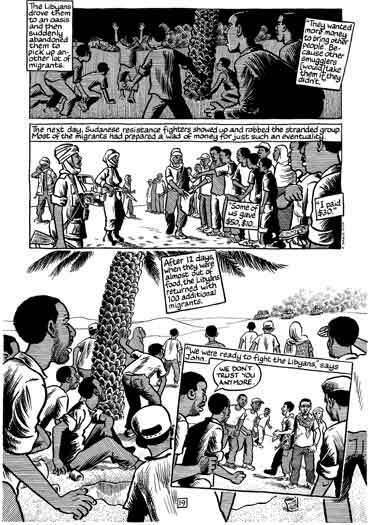 The first half of the comic journalist’s series about African immigrants in Malta. 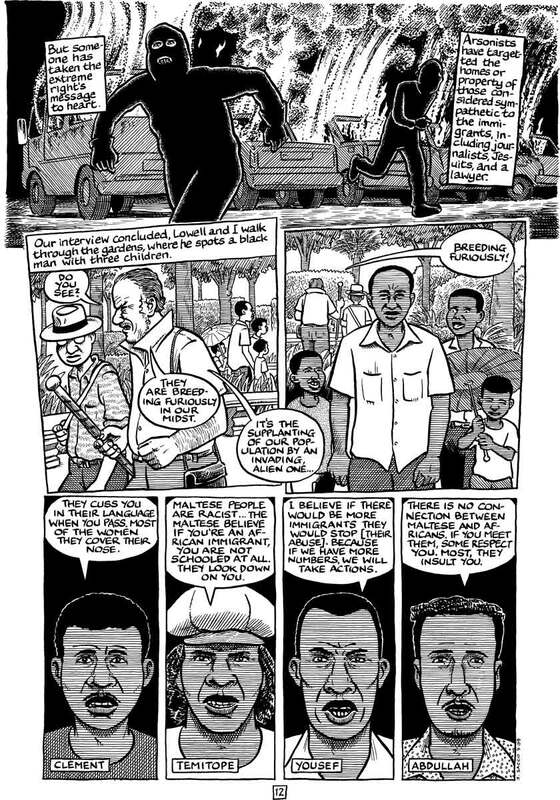 Click on any image to enlarge it to fill the vertical height of your web browser. 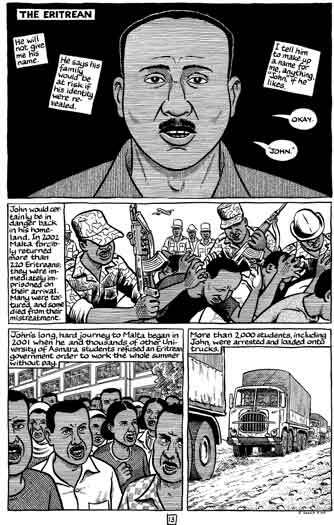 Joe Sacco, born in Malta and now based in Portland, Oregon, is one of the most well-respected comic book artists of his generation. 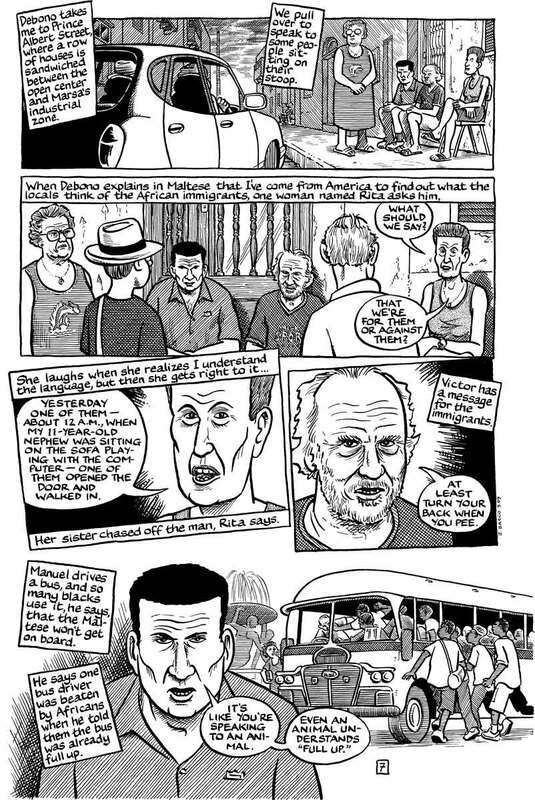 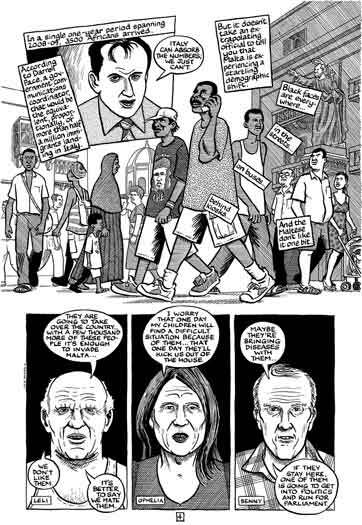 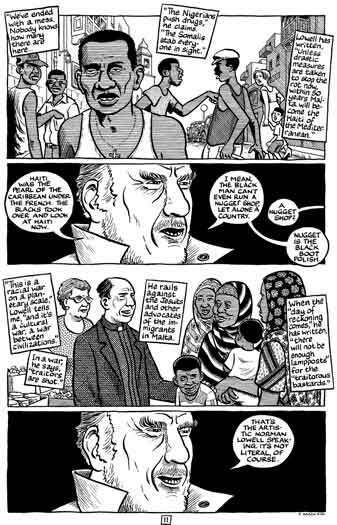 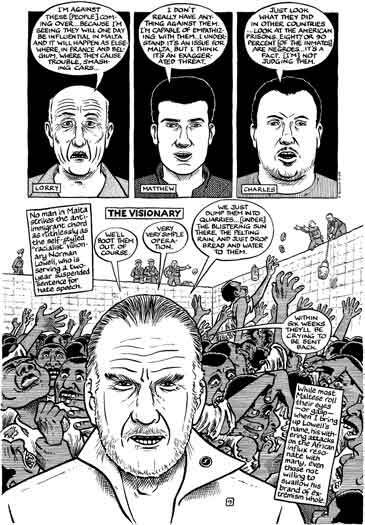 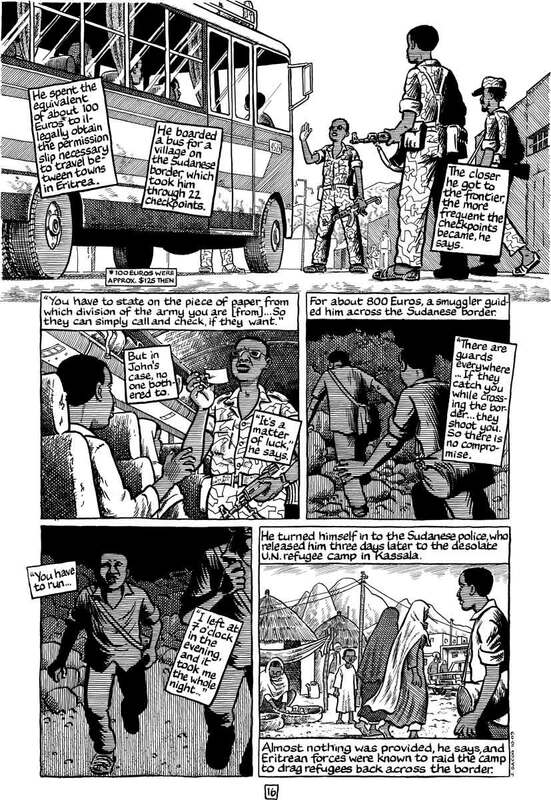 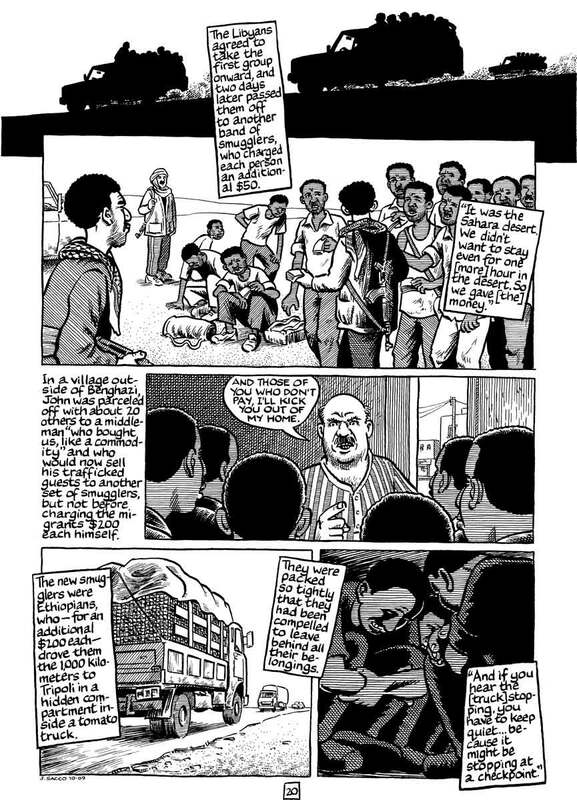 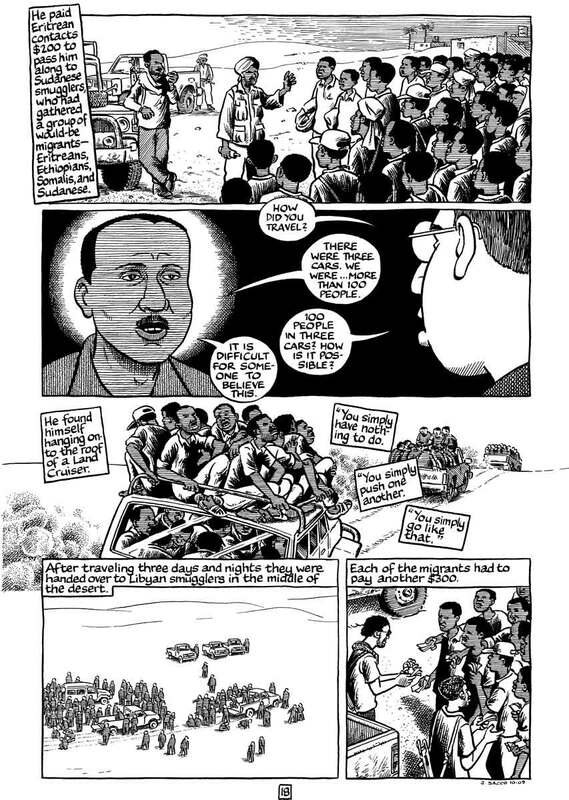 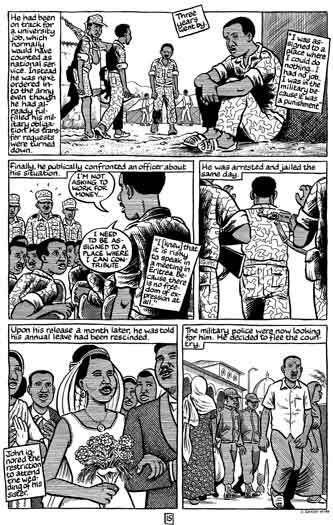 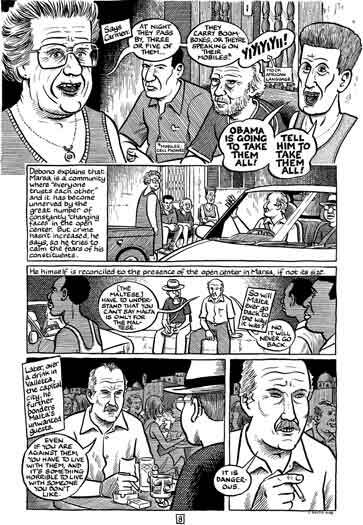 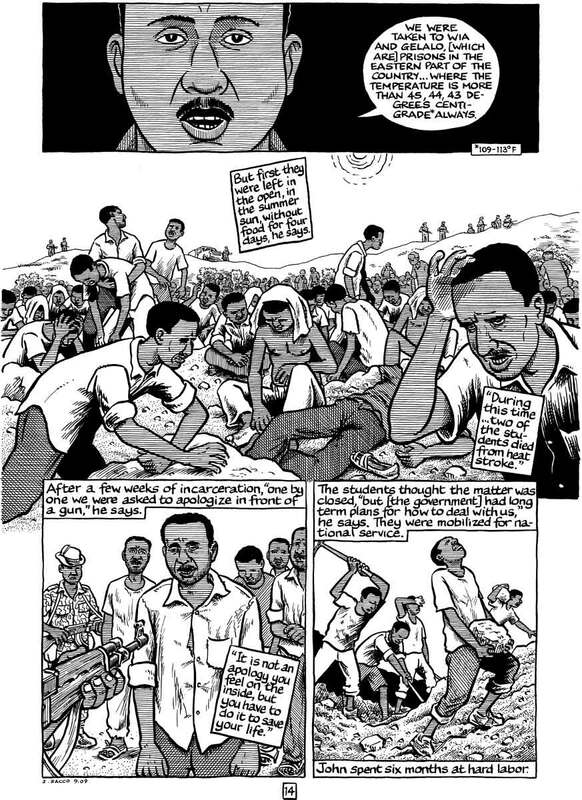 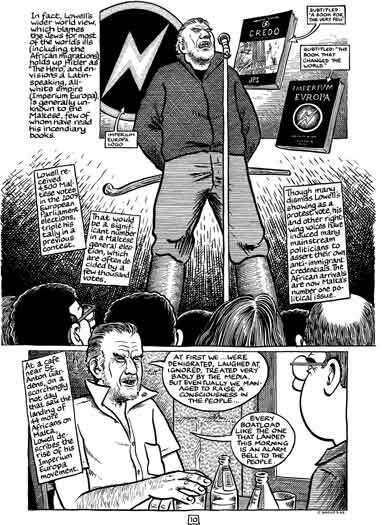 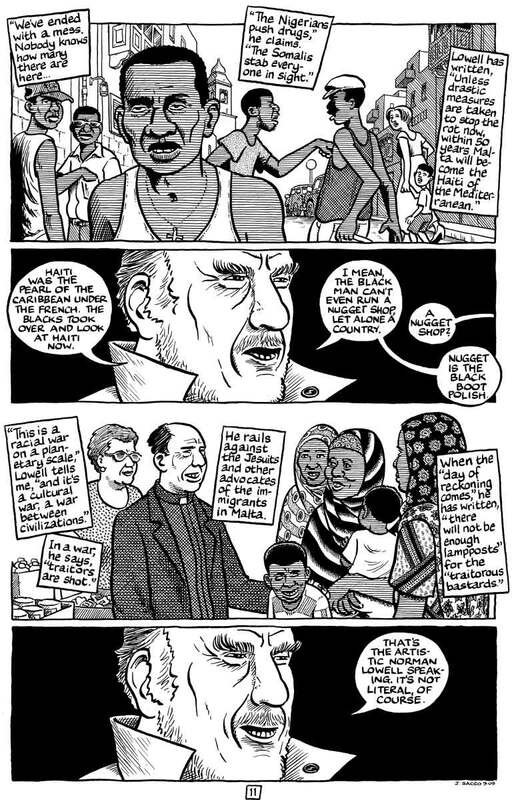 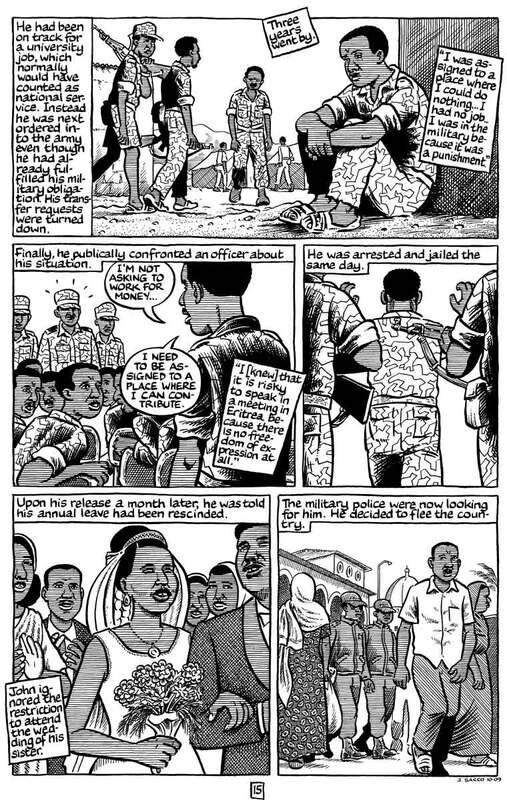 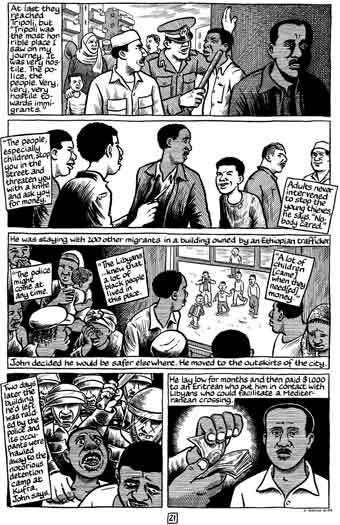 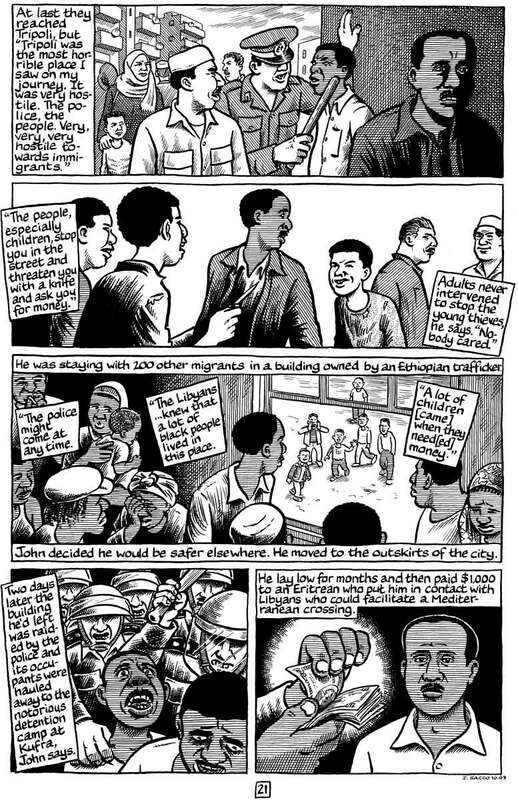 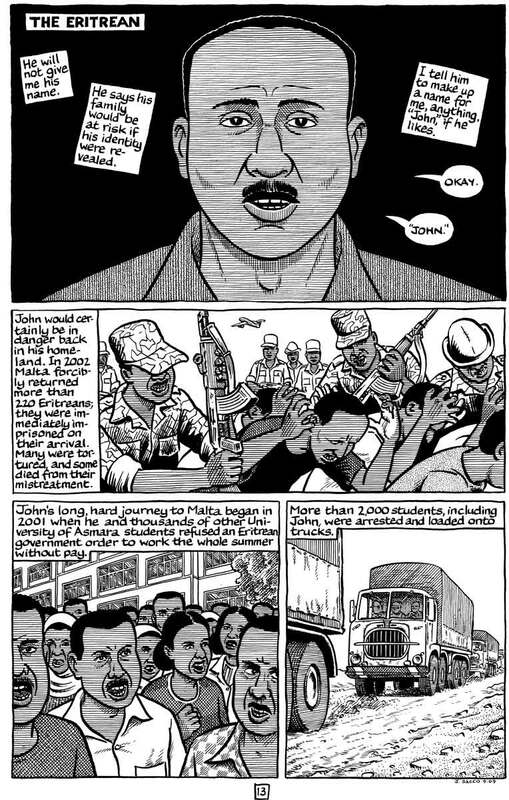 Sacco’s graphic reportage has earned him an American Book Award and a fellowship from the Guggenheim Foundation. 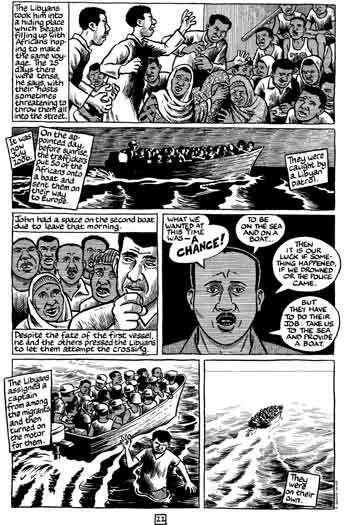 His works include Palestine, Safe Area Gorazde: The War In Eastern Bosnia 1992–1995, The Fixer and Other Stories, and Footnotes in Gaza. His new book, Journalism, will include his two-part story, “The Unwanted,” from the Winter and Spring 2010 issues, as well as “Kushinagar” from the Winter 2012 issue.